During Rio Carnival, all paths lead to the Sambadrome. For travelers, there are three primary transportation alternatives for arriving to and departing from the Sambadrome during Carnival: Roundtrip Shuttle Transfers, by Subway or by Taxi. You should avoid taking the public busses. Traffic comes to a standstill and the bus drivers will not be able to drive within walking distance of the Sambadrome. The safest, easiest and most convenient mode of transportation are roundtrip Sambadrome shuttle transfers that will pick you up in front of your hotels (Cruise ship or other pick-up points along the beach) and take you directly to the gates of the Sambadrome. When you are ready to leave, Shuttle busses will depart the Sambadrome every hour after midnight, corresponding to the completion of each Samba School procession. Metro Rio is a convenient and inexpensive way to get to the Sambadrome. 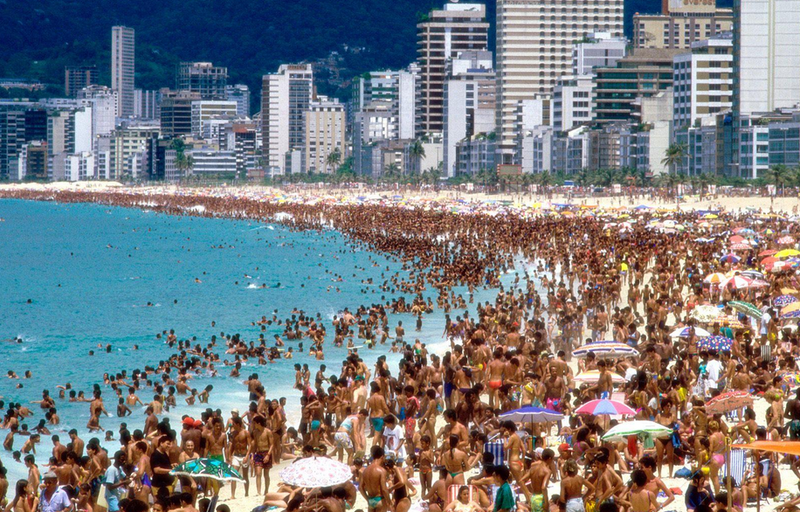 During Rio Carnival, the subway runs 24 hours and trains depart every ten minutes. Tourists and Cariocas alike will pack the subway all throughout the night. On regular days throughout the year, the subway will take you within a ten minute walk to the Sambadrome; however, with the crowds of revelers, the walk can take between 20 minutes and a half hour. Where you get off the subway depends on which side of the Sambadrome your tickets are located, even or odd sectors. The government authorizes two Taxi Companies for transportation to and from the Sambadrome. One company services the even side of the Sambadrome and the other services odd-numbered sectors. The fare should cost approximately $40 for a one way trip. Price gauging is not uncommon during Carnival. Especially if you choose to ride in a non-government authorized taxi, it is advised to establish the price before entering the vehicle. When you wish to depart the Sambadrome, government-authorized taxis will be located outside of Sectors 2 and 4 and Sectors 9 and 11.